A common issue amongst medical patients with prescribed medications is that they sometimes forget to take their pills or misremember whether they’ve already taken their pill. This can result in unhealthy medical doses being administered. Proteus Digital Health has invented a microscopic edible sensor that attaches to pills. Once the oral pill is swallowed and enters a human’s stomach, it interacts with gastric juices. This interaction triggers a signal being sent to a wearable patch. The patch logs the date and time of the signal (which correlates with the digestion of the pill) and some other basic health information that can be transmitted to a mobile device via Bluetooth. The FDA approved this sensor being attached to Abilify – a long-standing schizophrenia drug – with the new name of Abilify MyCite. Despite the approval, this new pill is being criticized for its pairing with a drug taken by people already prone to paranoia, hallucinations, delusions, and hearing voices. There’s still work left to be done despite expectations of the new pill hitting the market next year. First, the Abilify MyCite team needs to ease the public’s concerns around the sensor potentially amplifying Abilify patients’ side effects (i.e. hallucinations & delusions). They should immediately continue conducting testing and gather data that supports the sensor does in fact increase a patients’ likelihood to remain on their prescribed pill-taking schedule. They should promote their insights to families and doctors of patients with schizophrenia in order to gain public trust and build up demand for the product. Harvesting mechanical energy from a person’s everyday ordinary actions – or nature’s actions – is both expensive and inefficient. Therefore, significant amounts of energy are wasted. An international team of researchers have developed a technology called Twistron Harvesters, which is essentially carbon nanotube submerged in ion gel that is weaved into yarn. A small electric current is generated when the weave is stretched out. The carbon nanotubes can potentially replace external voltages which were previously used for this type of mechanical energy harvesting. As seen in the photo below, clothing can have this carbon nanotube tech weaved into the fabric. Electricity can be simply generated as a person breathes in and out, stretching out the weave. The tech was also tested in ocean water. Waves can naturally stretch the harvesters, generating power. The power generated is still not sufficient for home lighting or EV charging, however scientists are optimistic that improving the tech and dropping carbon nanotube pricing will make this energy generation method a possible power charging option for wearables. From a wearables standpoint, the scientists should seek an ambitious wearable tech partner willing to conduct experiments using the carbon nanotube tech to charge actual wearable tech. They should then partner with a clothing manufacturer to see if mass-producing textiles with this carbon nanotube tech is feasible. If so, they should conduct testing on robots and/or humans to see how effectively everyday human mechanical actions generate power. While robots continue to create efficiencies in workplace environments, robots are still limited by the need for human intervention such as construction, control, and maintenance. An MIT computer science team has created a concept called Primer that is a robot that can move on its own, change shape, and even add a robotic exoskeleton to itself. Right now, the robot is activated by human-controlled magnetic fields until it reaches a given platform. The platform uses heat to activate the exoskeleton that folds up around the cubed robot. The creators suggest the mini robots will be able to drill, scoop water, shovel, cut, and grab. Furthermore, they envision the robots being used by medical professionals who give them to patients in pill-form. Once consumed, the robots may be able to inject medicine or perform biopsies in humans. The prototype is still human controlled, so the first step is building a second-generation prototype that is autonomous. 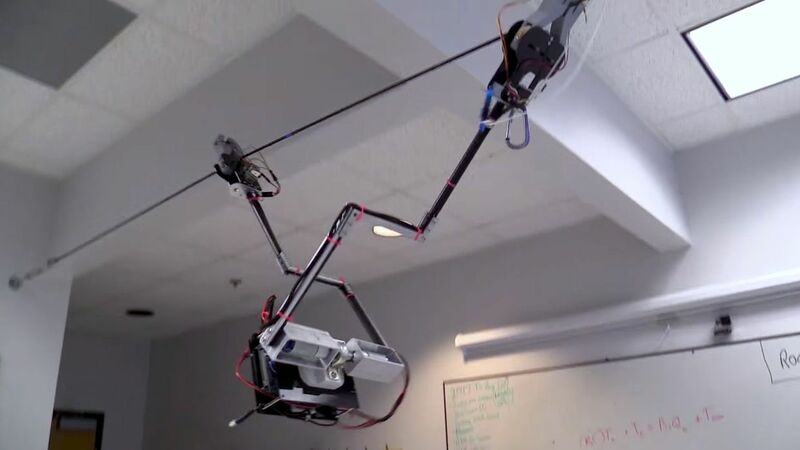 Once the prototype can build itself and move on its own, the scientists will need to perform rigorous testing to ensure the robot can perform the desired functions in a desired time frame. Once the second-generation prototype actually performs functions in a timely fashion, the scientists may want to test it on a live subject (probably a rat). Can LG Outperform OG Mosquito Repellents? In urban Indian regions, mosquitoes pose a significant health concern as they carry diseases such as dengue fever, chikungunya virus, and malaria. People are seeking alternatives to using foul odored, toxic bug sprays. 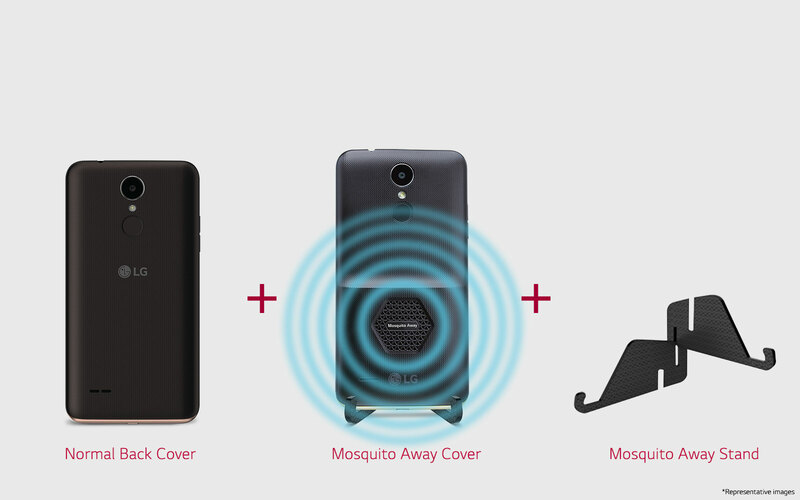 The multinational tech conglomerate LG has developed the “LG K7i: Mosquito Away” smartphone. LG claims its new phone emits a noiseless, odorless ultrasonic sound wave that repels mosquitoes. The tech has also appeared in other LG products, such as LG’s air conditioners. While LG boasts that testing of the ultra sound repellent was successful 72% of the time, there are significant doubts as to the effectiveness of the technology. Despite the product already being in the market, there is still work to do as there are a lot of critics questioning the effectiveness of the mosquito repellent feature. LG should: 1) conduct more repellent tests, 2) tweak the ultrasound tech to improve the repellent’s success rate, and 3) publish the results (assuming they’re positive) to instill greater confidence in the repellent. Will Drones End Society’s Range Anxiety? An electric vehicle owner in a rural area often fears that his car battery will die before he reaches an electric charging station. Even urban EV owners fear their batteries will deplete in a major traffic jam. Stationary charging stations are often expensive to implement and particularly inefficient in rural areas. Amazon has been granted a patent for a roving drone that can attach to cars and infuse energy. The article suggests that the car battery could be recharged by the drone either when the car is idle or when it’s in motion. The roving drone may be manually requested by drivers with low car battery via Alexa, which is already being installed in some Ford models. Alternatively, the roving drone may be dispatched automatically if a driver is signed up with Amazon Prime or another subscription service. Furthermore, this patent may open the door for other Amazon deliveries to mobile individuals. EV owners who subscribe to the service. All automotive, train, airplane drivers and passengers who share the land/airspace with drones. Street/highway patrols in case of accidents. Highway maintenance crews in case of drone failures. Amazon needs to create a prototype that is light weight (current estimates say these drones will be 1,000lbs) and energy efficient themselves. Amazon needs to test its proof of concept to confirm that the roving drone can latch onto a moving vehicle under various weather/geographical conditions. Amazon needs to drum up support to pass legislation that allows Amazon to conduct a small live test. The ability to monitor a human’s health conditions in real-time can provide significant benefits to both individuals and organizations. Wearable technology has led the way in human health monitoring, however that technology is limited because of battery life and the need for digital connectivity. Furthermore, wearable technology is limited because of the physical detachment between the technology and the human’s body. Harvard and MIT researchers are testing smart tattoo ink that is able to monitor a person’s health conditions and change ink colors as a person’s health changes. Biosensors are used in the ink. As the ink lives within tissue cells, they can monitor blood levels and a person’s pH, glucose, and sodium. The ink changes color – sometimes under a blue light – as a person’s health changes. The potential applications are powerful. Athletes to astronauts could learn when they’re dehydrated. Diabetics can keep tabs on their blood sugar levels. And doctors could potentially use temporary tattoos to monitor a patient’s health. 1. The ink is still being tested on pig skin. These tests must continue to confirm that the ink colors accurately reflect health conditions and that there are only tolerable side effects (hopefully none). 2. Assuming pig skin tests are successful, human testing would need to be conducted next. 3. The creators need to conduct market research on the demand for smart tattoo ink. Will all tattoo wearers be interested? Will only medical professionals be interested? And how much is one willing to pay for smart ink? The same price as a normal tattoo? Perhaps a premium? And, the creators need to determine how the smart ink will be supplied. Will it only be supplied to doctors’ offices/hospitals? Will all tattoo artists be allowed to apply the ink? As the population continues to grow, so too does the need for larger farm production. Larger farm production requires constant monitoring to alert the farmers when to take actions with their crops. Humans who manually monitor crops are both inefficient and incidentally destroy land/crops. Robotic ground monitoring technology still cannot easily overcome simple obstacles such as mud or rocks, and monitoring flying drones are not energy efficient. Tarzan is a chimp-like robot, created by the Georgia Institute of Technology, that can swing across a wire. Tarzan’s creators envision farms with wires hanging above the rows of crops. Tarzan would swing up and down the wires, monitoring the health of each crop in real-time. Tarzan could then send back images and advanced analysis to a farmer’s computer to identify when a plant needs more water, fertilizer, or other treatment. Tarzan’s creators want to build a solar-powered version that could allow Tarzan to live amongst crops for months at a time. 1. The first step remains completing the build of a Tarzan that can efficiently swing to and from multiple wires, that is weather-resistant, that can successfully transmit photos/information to a computer, and that is cost-effective. 2. The creators need to test the prototype, whether on a simulated farm or partner with a farmer willing to build the overhead wiring system. 3. The creators need to collect data from the tests, make modifications to the robot, probably run some more tests, and ultimately attempt to assess whether Tarzan is more valuable than alternative solutions. Then they can consider marketing the robot.